The church is located in Stampace District and it is also one of the most ancient in the city. It was built in Romanic Gothic style, but it was reworked several times during the centuries. The monument looks out onto a small yard, accesible from Viale Trieste, in an area that was used as necropolis during the Paleochristian Age, as proved by some evidences stored in the National Archeological Museum of the city. 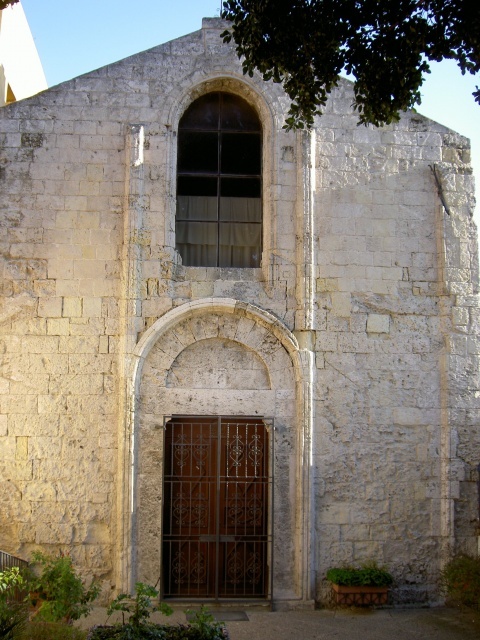 The current facade is made in chalky stone and shows Gothic elements probably date back to the 13th century; the inside has a wooden roof and a single nave. Decorations are very simple: there are two statues representing San Pietro, and a painting of the 19th century representing the Vergine Addolorata.